• Completed secondary school and/or technical training on certification. • A minimum of five years recent* professional experience as a maintenance technician. • Experience in maintaining air-conditioning, systems refrigeration, plumbing, and/or audio-visual systems. • Thorough knowledge of electrical, air-conditioning, refrigeration and electrical systems. Asset Qualifications:Preference may be given to candidates who meet the Asset Qualifications. Where applicable, candidates must clearly demonstrate how they meet any asset qualifications in their cover letter and CV. • Knowledge of French language. • Must be available to respond in case of emergency to telephone calls which may take place after working hours and during weekends. • Able to do physical tasks such as lift heavy boxes, clean cars. • To meet all requirements of the medical examination (compulsory). Open to applicants who are legal residents or citizens of Tanzania, who meet all of the essential requirements stated below, and whose applications are received by the closing date. 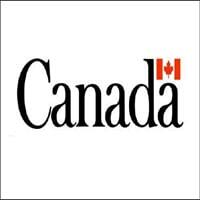 Please note that the High Commission of Canada to Tanzania does not sponsor work authorizations directly or indirectly. The Government of Canada is an equal opportunities employer adn welcomes applications from diverse sections of the community. Canidates will be considered on merit regardless of ethnic origin, religious belief, gender, age, sexual orientaiton, disability or any other irrelevant factor.